Head Coach Qi Wang of the Aggie volleyball team gives instructions to his players. This season is Wang’s first at the helm of the team. After zero conference wins last season, Cameron University’s volleyball team is looking for a fresh start to their season with new head coach Qi Wang. Wang, who is no stranger to the Lone Star Conference, spent the last four seasons as an assistant coach at Angelo State where he helped the Rambelles achieve over 100 wins, a Lone Star Conference regular season title and three NCAA South-Central Regional berths. 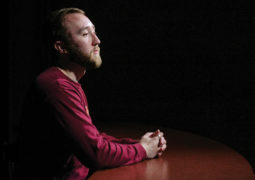 Prior to his time at ASU, Wang served in coaching positions at Florida Tech, Northern Michigan and Truman State. While at TSU, Wang reached the NCAA Division II National Championship Game in 2002 and 2004 and earned the honor of AVCA National Coach of the Year in 2002. 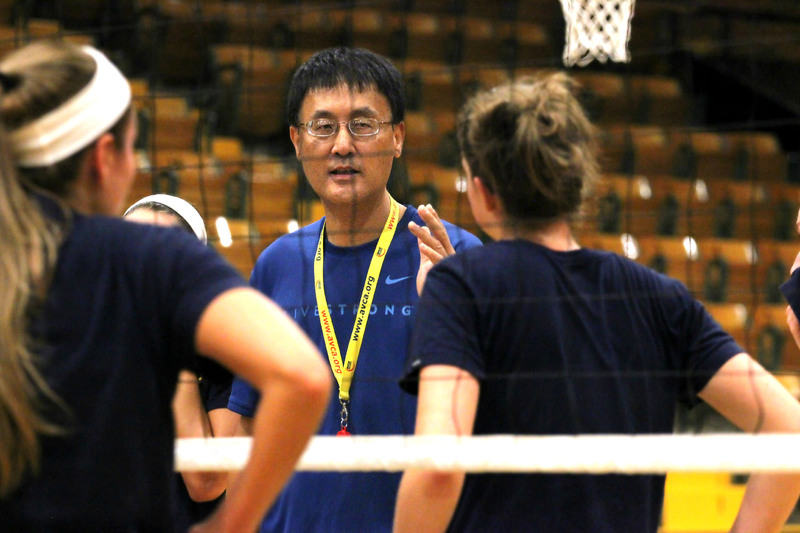 Now with the Aggies, Wang looks to repeat his coaching success in an effort to turn around the Cameron volleyball program. He first met the team in early February, but he did not begin working with them until shortly after spring break for preseason practice. Wang said that the Aggies’ effort is what first impressed him, but noticed a need to improve the player’s overall skills and game mentality. According to Coach Wang, a spark in energy levels is what he is most looking forward to from the Aggie bench this season. Wang is not the only new addition to the Aggie volleyball program. The 2014 recruiting class brought five new athletes to the team: juniors Ingrid Boatman and Taylor Tepfer, freshmen Jordan Escobar, Lindsey McCauley and Cristina Viera. Boatman and Tepfer are both junior college transfers hailing from Paris Junior College and Vernon College, respectively. Setter Boatman played in 25 matches in two seasons at Paris Junior College where she recorded over 250 assists. She helped her team achieve a 29-8 record in 2013 and fourth place in the Region XIV Tournament. In 2013, the NJCAA named Tepfer Region V Libero of the Year during the season she played 131 sets and recorded 316 digs. During her freshman season, she played in 37 matches, obtained 477 digs and played on the 2012 North Texas Junior College Athletic Conference Championship Team. Wang said the new players add more depth to the roster and provide new drill options during practice. The Aggies return to the court Sept. 5-6 for the MSU Tournament, and their home openers will take place the following week of Sept. 12-13 against Angelo State and Tarleton State.